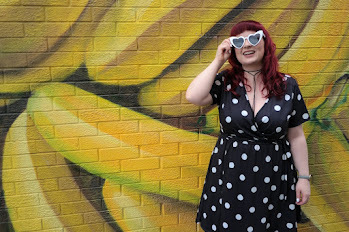 I'm a huge fan of trying out new haircare products and I've found some of the best products to add into my routine and I shared those recently here but when it comes to keeping my hair colour vibrant, it's something I'm a little bit more fussy about. I don't like using too many chemicals on my hair so when I'm at-home colouring, I tend to stick to hair colourants that don't have any nasties in them and only pre-lighten my natural dark blonde roots every few months to blend the colour through. 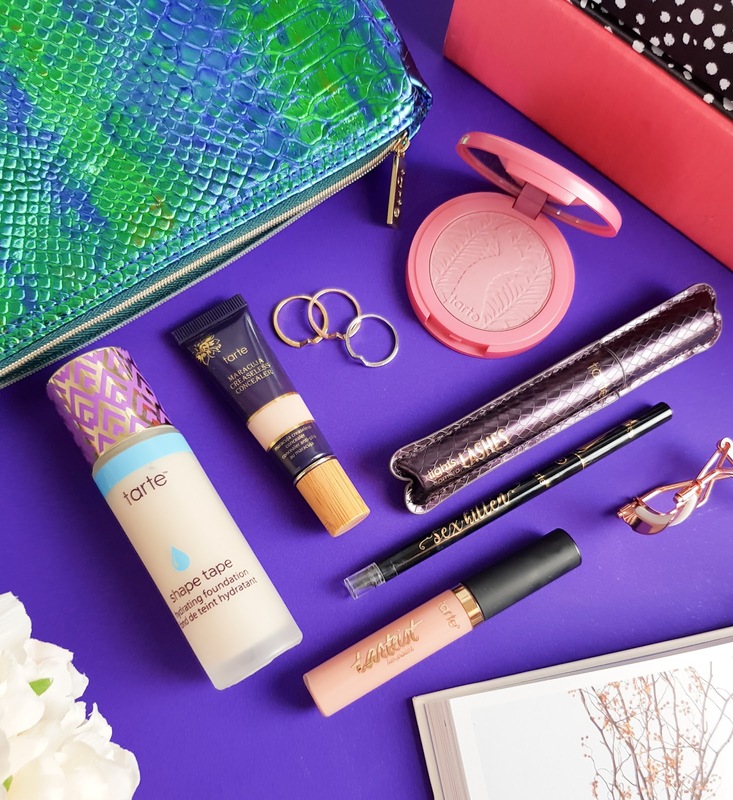 With festival season upon us, I wanted to share a few of my favourite colourants I've used over the years from Colour Freedom as they recently restocked me (& some for you guys too, giveway below) with all of my favourite vibrant shades that are also ideal for festival season. Colour Freedom are made by Knight & Wilson, the folks behind some of my favourite stlying products; Style Freedom and they are also the babes behind the Pure Plex, hair repair system that I adore too. 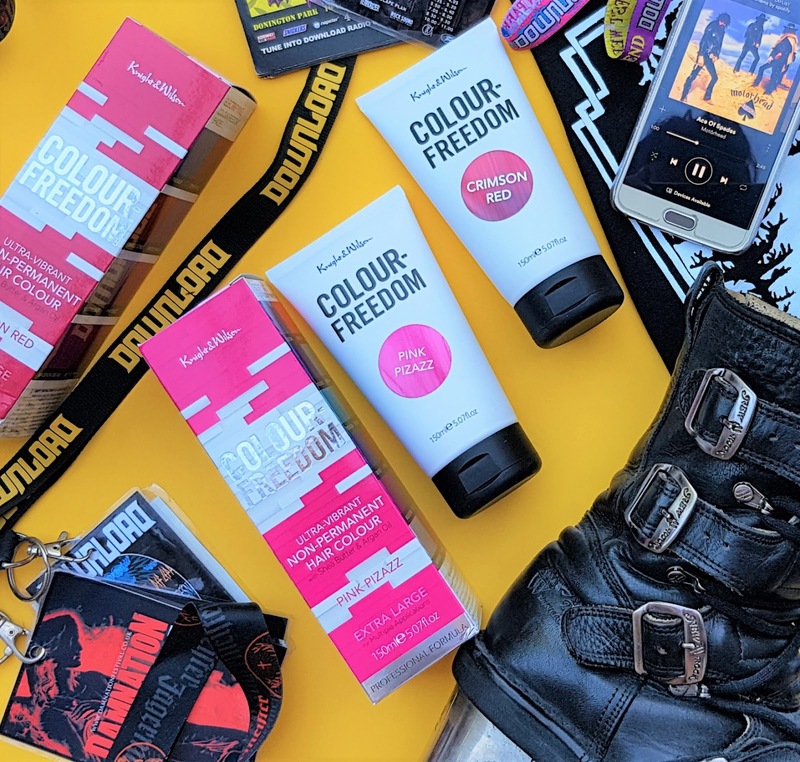 Colour Freedom currently have over 35 colours to choose from in their range along with the likes of cream bleach, and pasteliser so they are bound to have a shade to suit every personality. 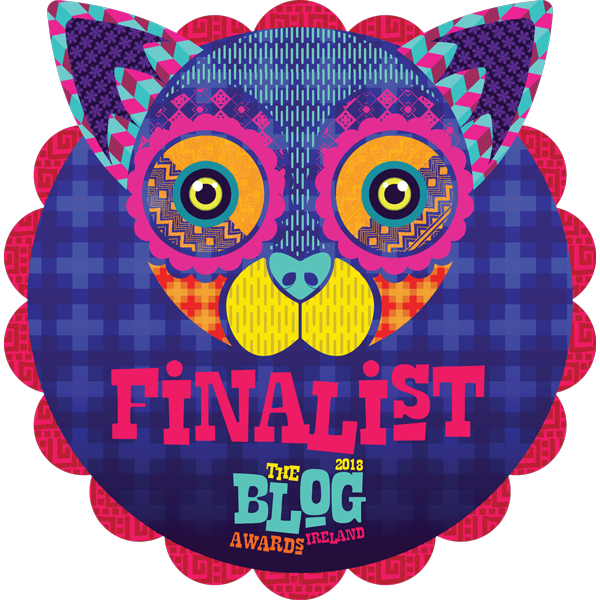 I've always been a pink/ red/ purple kinda gal and switch between differing shades of those all the time. 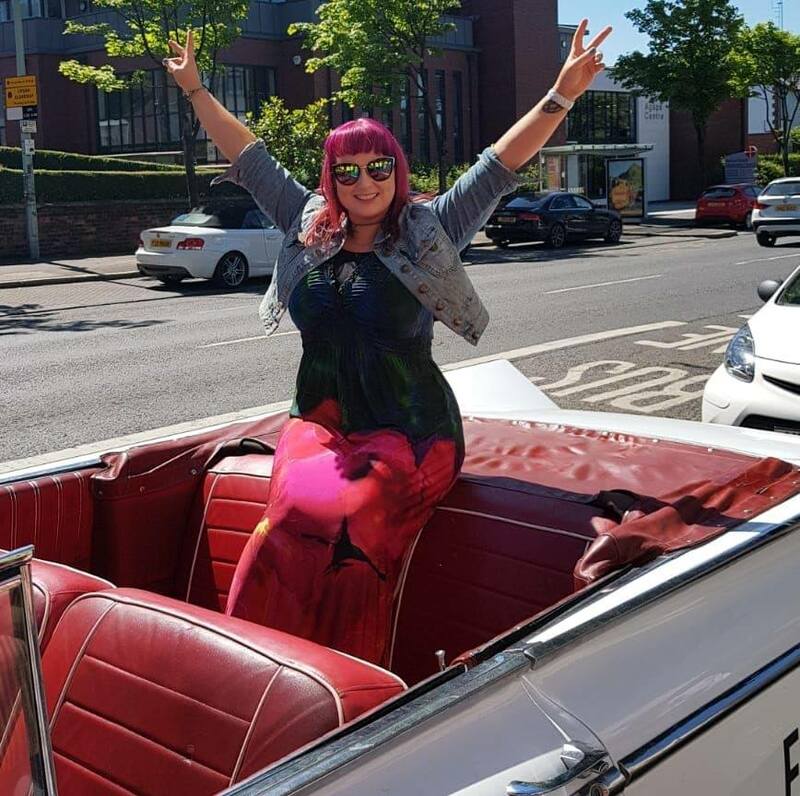 I'm currently rocking the Colour Freedom Pink Pizazz shade in the photo below and next on the agenda for my head is a quick change to a more bolder red with the Crimson Red. 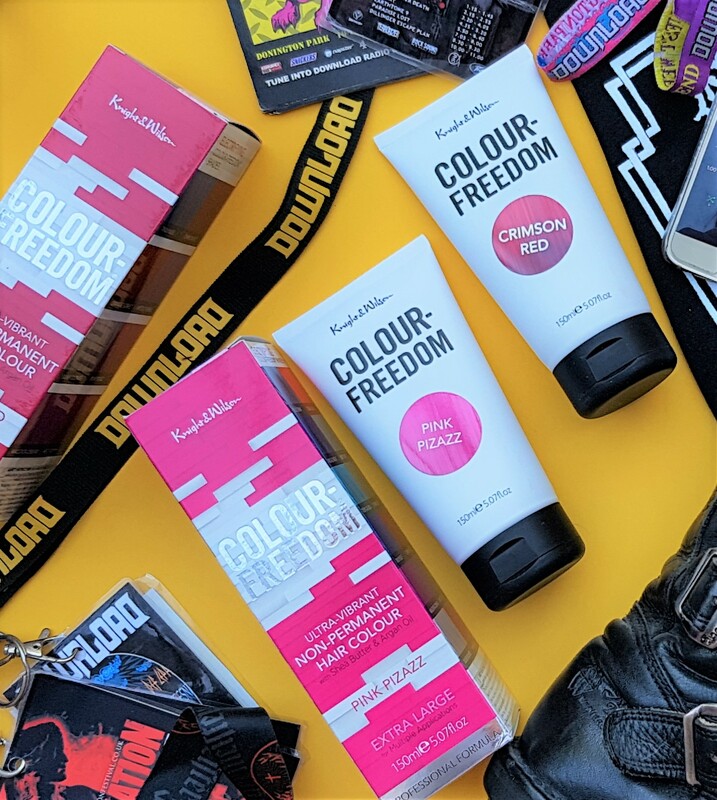 I've been colouring my hair a vibrant shade now for over 8 years and Colour Freedom are one of the more accessible, good quality, bold semi-permanent colour brands that I've found in that time. Personally I can get around 4/5 uses from each 150ml tube and at just £6.99 each via Superdrug, that's good value for money IMO. So, how do I keep my colour vibrant? I actually just mix some of my chosen colour into a mixing bowl with some hair conditioner. Ratio wise, I say 1 part colour with 3 parts hair conditioner and I keep the mixture on my hair for around one hour. Using this method means my hair gets a deep conditioning treatment and a colour refresh without any chemical nasties. As the Colour Freedom shades are gentle on the hair, you could choose to do a full tube colour everytime you want to top up your colour but I prefer the deep conditioning method once every two weeks instead, this uses a lot less colourant too. If you're new to vibrant hair colouring, please leave any quetions below and I'll answer as much as possble as I know with festival season and the school holidays now here, it's the time of the year where people chose to trial some new funky colours and I couldn't recommend Colour Freedom more. 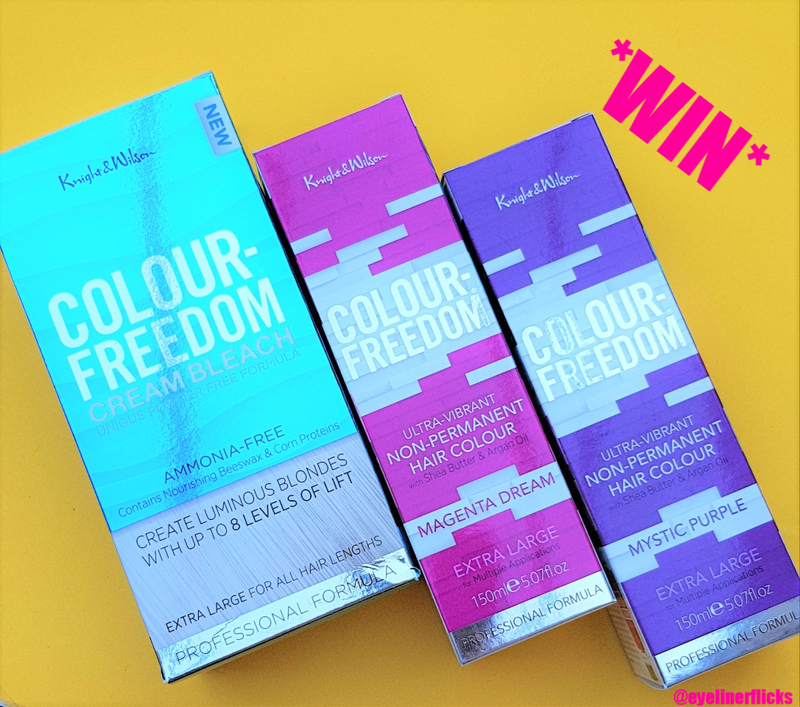 Fancy winning a wee bundle of Colour Freedom goodies for yourself?